Hello! My name is Angie and I love to quilt, read and garden. Come February 28th, 2014, I will have been blogging for 5 years. I can't believe it! You can see my first post here. I love how blogging has introduced me to so many new friends around the world - Spain, Norway, Netherlands, Australia, Canada, Malaysia, the Philippines, the UK, Germany, of course the US and many more - places I would love to visit but will never get to all of them in one lifetime. And I have learned so much from the fabulously talented quilters that inhabit blog land. I love to go to new sites and see what my fellow quilters are up too, see their eye candy, view their sewing studios. So when I came across Vicki's post - Grow your Blog - I thought what a way to meet more friends out there and discover more fascinating blogs. Over 500 bloggers signed up for the event. Wow! So welcome to my blog. I hope you'll stop by now and then to see what I'm up to and comment. Then I can visit your blog/flickr group/email and do the same. Here's one of the projects I'm working on at present. I post whatever progress I've made on Fridays as Hexie Weekend and have a Linky Party for it too. You're invited to link any eye candy you've made, are working on, or dream of starting (it doesn't have to be hexies) to share with us. There's one going on now - previous post. always looking for simple patterns from which to make 36" quilts for the low income, first time mothers in our parish who need a little help and love. As a thank you for stopping by, I'm having a giveaway during Vicki's fabulous event. I'm giving away a $25 gift certificate to one of my favorite online stores: The Fat Quarter Shop. This giveaway is open to anyone. In order to win, leave me a comment and tell me where you are from (please be sure you are not no-reply on Blogger). For a second chance to win, you can become a follower and leave a comment telling me you have done so. Winner will be chosen on February 15th. Good Luck! PS: Come Feb 28th - I'll have another giveaway for my blog anniversary - mark it on your calendars. Your appliqué blocks are so pretty. I wish I have the time to appliqué. I am from California. You have inspired me to go on with the hexies, and now you tempt me to start appliqué blocks too. I did much of appliqué before. I'm from Norway, and I'm happy to be your blog friend. By the way, I'm your follower, and have been for a while. I'm from snowy and very cold Michigan! I enjoy your posts. Hello from deep freeze Northwestern Ontario Canada!! I am following your blog via Bloglovin' - nice to get to know you a little more! This is such a great idea for a hop!! Hello Angie! It's very nice to meet you! I am Lorna and live in Canada. Just found your Hexie Weekend link up and am here for my first visit. I'm a long time follower from Vermont. Love your posts! Good morning from North Carolina. Enjoy reading your blog - thanks. for the chance to win. So nice to see your picture Angie - now I have a face to connect with you!!! Hope you get a lot of new followers, and fellow hexie & applique enthusiasts to cheer you on! Hello Angie. I have been following your blog for a few weeks. I had discovered your blog on another blog (can't remember which one}. Like you I love applique. Nice to meet you! I'm from Nevada. I'm now following your blog on bloglovin and look forward to getting to know you! Hi Angie! I enjoyed my blog visit! Your a very talented quilter too! Hi Angie! I live in Canada and I love your blog! Oops forgot to say I follow via Bloglovin! I am a follower originally fromCanada but currently living in Florida. Hi Angie. I have been following your blog for 2 years now and like you I love applique. I'm living in Tucson, AZ. Your applique is beautiful! I live in balmy Florida. Although it's not so balmy right now, as we have been having night time temps of 37 degrees. Thanks for introducing yourself and for the generous giveaway! I live in the woods with the wildlife in the ozarks of Missouri-beautiful country and we live fairly close to several state parks here-a trout park-Bennett Springs, and HaHaTonka which is great for hiking. It is so good to meet you. Your work is stunning and I see we like a lot of the same things. I have also started the Benjamin Biggs Quilt although I have not posted about it yet. I can see that you are truly passionate about your handwork. The Fat Quarter Shop is one of my favorite places to buy fabric from. Thank you so much for a chance to win. I look forward to seeing your progress on your lovely projects. Hi Angie, thanks for the invite over to quilters' playhouse. It is so nice to see other bloggers out there with similar interests. Hello from Switzerland, Angie! You're a very busy lady with all that hand work! It's beautifully done and you obviously enjoy it. Thanks so much for stopping by my blog and thanks for the great giveaway too! Hello Angie! Thanks for stopping by my blog. I have really enjoyed visiting your site. You have a lot of wonderful things in progress. I'm from Clatskanie, in rural NW Oregon. I'm about to start my very first applique project, and your blog has given me some of my inspiration and confidence. Thanks! The blogging world brings friends in a few clicks :) Gotta love that. I'm definitely a follower and thanks you for the opportunity. I follow your blog from Saskatchewan, Canada. Thanks for the opportunity on the draw. Loved poking my nose into your world tonight. I'll be back to take a better look around. I really like your applique blocks. You are do a really good job they look nice!! I love your blog and follower from the center of the great state of Montana! Love the Fat Quarter Shop too. I love your blog...your hexi basket quilt is going to look so pretty when finished...I am from Alabama....I am already a follower of your blog...I follow by email. I am a new follower as I just found your blog. I love your appliqué blocks and hexies. I love your blocks! I am an avid sewer but have never tried quilting! Do give any tutorials? I really don't know the first place to start! Anyways I am from all over as we move so much but I was originally born in Nova Scotia Canada. Hi Angie, I am from quilters playhouse . I love your blog. Have fun blogging into you sixth year. Hey Angie, I follow you and would love the chance to win, Thank you. THANKS FOR SHARING YOUR NEAT BLOG;NEAT BLOCKS TOO! I'D LOVE TO ENTER YOUR GIVEAWAY! Greetings from New Mexico!! Love your blog and we have the same interest in quilting. Very nice giveaway... thank you. I have followed your blog for a long time. Hello from Southern California! I love Fat Quarter Shop! I am anxious to read about your applique ventures. I used to applique quilts all the time years ago..now I am into piece quilting but want to get back to applique so I joined to follow your blog! I'm from western Ky in the USA. I love your hexies! I'm going to have to try some of these! I'm from Southern California! Fun projects I'll be back! Thanks for putting my name in the hat for your drawing! Applique Tuesdays sounds fun! I clicked to follow. Thanks! Hello Angie- visiting from gyb. Fabric and books- sounds wonderful. I used to quilt before I became a mother. After our daughter came along I sewed for her and enjoyed making dresses, pantalettes, costumes, and jumpers. Now that she is in college I need to do something with my small fabric stash other than little gifts- I need to practice on my embroidery machine too! I tend to get caught up in scrapbooking, gardening, reading and baking and let sewing sit on the back burner. 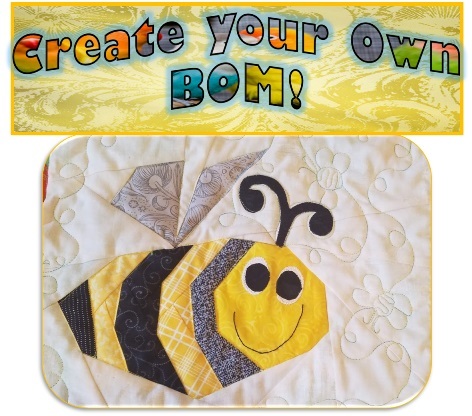 You have a nice blog- love the quilt party link up. Hello. I am stopping by from Vickies. I love your hexies. I'm from indiana. Love your blog. I am from North Carolina. Read your blog often and love your applique. Love your blocks. I really need to start doing some more applique!! I live in North Carolina. It has been home for 26 years. 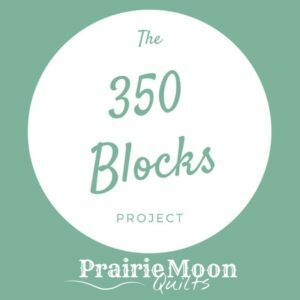 Indigo here, with the 368 block a day (ish) project. in Washington currently, though that project started in Tennessee and has been worked on in Montana, Nevada, Georgia, Illinois and Alaska! Hi! I am visiting from New Hampshire! I am a new follower too. Can't wait to read what you have to share. Your appliques are beautiful. Angie, I'm from Arkansas USA. You have a lovely blog. Congrats on your upcoming 5 year blog-aversary. Your applique is fantastic! I am a new follower and look forward to reading your blog post! Visiting from GYBP. Sign in to be a follower. I am also a quilter and live in WA. state. Hello Angie. It's lovely to meet you. I am visiting from Melbourne, Australia. Hi from Van Buren Arkansas. Welcome shortseam. I'm glad you came by. However you are no-reply blogger. So if you want to be in on the giveaway, you need to email me your email (my address is in my profile) to be entered. Hope to hear from you. Hi Angie! I'm a teacher and a quilter from Wisconsin,USA. Thanks so muh for sharing your lovely blog! I especially love your Ninepatch Pizzaz! You went to my quilts tab, Thanks, PK! I also find the international aspect one of the most exciting things about blogging! Wow you do some lovely work, thanks for visiting my blog. I am in southeastern Ohio.....very cold and snowy right now. 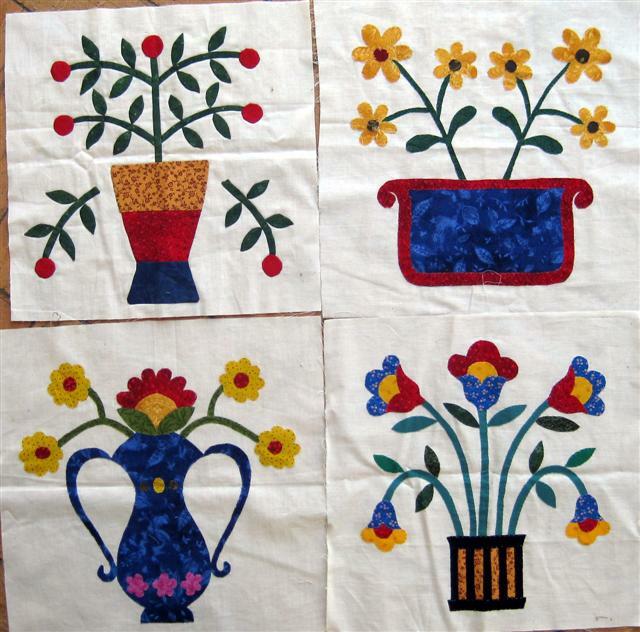 I love applique and enjoy reading your ventures in quilting/applique. I live in southeastern Massachusetts. Love your beautiful applique. You have a lovely blog. I am a new follower and look forward to your future posts. I am from southwestern Ohio. We are finishing up our snow. Love your hexie project! So glad you joined the Let's Bee Social party this week! I have to agree.... Blogging has provided a wonderful connection to the nicest people from all over the world. Glad we found each other, Angie! From Vancouver, WA. You do great quilting. I can't seem to line up seams myself! Hello, I am from Brisbane Australia and have come to visit via GYB party and would like to say I think you do amazing work. Applique is my favourite quilting genre. oooo I Love the hexi basket block soo cute! I am from NE. 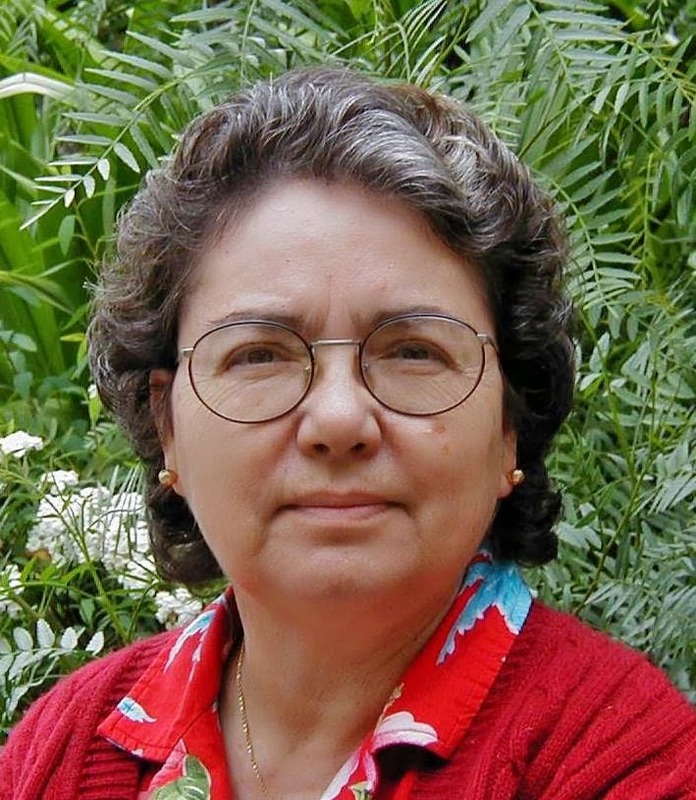 Hi Angie, thanks so much for visiting my blog. GYB was such a great idea don't you think. You have a lovely blog and I really like your work. You certainly keep yourself busy. Hello fellow librarian! (I am a Young Adult Librarian in a public library) I found your blog via the Grow Your Blog Party, and I am so happy that I did. I love all of your beautiful quilts. You are so talented! Nice to meet you! I am a new follower via Bloglovin' and I cannot wait to follow your latest creations. Thanks so much for visiting and leaving such a lovely comment on my blog. Your applique is gorgeous! Wow, beautiful work ... I am just learning to quilt - got some partially completed quilts from my mom who can't finish them anymore. I am from Winnipeg, Manitoba, Canada and am so glad you left such a sweet comment on my blog - thank you! Will be sure to Follow you too! Hi Angie! Thank-you so much for dropping by my blog earlier. I don't quilt, but you do beautiful work, and I look forward to seeing more of your projects. Oh dear, I think we are most certainly kindred spirits Angie! I love many crafts as you know from visiting my blog but applique is one of my favorite quilting techniques... and The Fat Quarter Shop, well, one need not say more! :D I am certainly not going to lose you now that I have found you through Vicki's party! :D I'm your newest follower! I am from Upstate NY, near Saratoga Springs. Your quilts are lovely! I'm almost 1/2 way through the GYB list. Wow! Lots of great blogs to visit & people to "meet." Thanks for visiting me! Greetings from St. John's, Newfoundland, Canada. Very nice to meet you. Your work is lovely. Thanks for sharing. 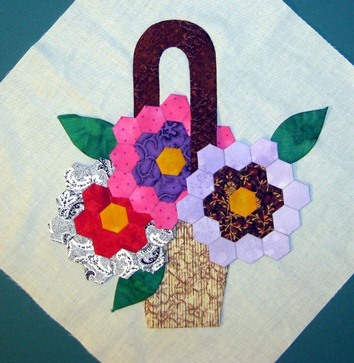 Your applique flowers are a great use of hexies. Thanks for the giveaway. I'm from Ontario, Canada (minus 9 celsius and snowing today, in case you're wondering). I'm visiting from the Grow Your blog party. I'm from Michigan. I love applique too. Your quilting is beautiful. Stop my my blog as well; I am having a giveaway. Hello Angie from the NSW Central Coast (Australia). Found you on the GYB party, slowly making my way down that huge list! Lovely work you are doing. I mostly appliqué and your appliqué blocks are masterpieces. I am glad I stopped by. Wow, thanks for sharing. your work is wonderful. This hop has been so much fun - getting to know so many talented people. Hi Angie. Love your work. I'm from Indiana. Nice to meet you! Hi Angie, Still trying to visit some people on the GYB party list, Getting back around to read more of your posts and to follow. Sending you a Happy Valentine's Day!!! wish...from the almost middle of Ohio, USA!! Hi Angie. I'm from Jerusalem, Israel AND from NJ. I've been following you with Feedly and GFC. Greetings from the Pacific Northwest. I enjoyed visiting your blog. New bloglovin follower: Nicole Sender. You know I am a follower of yours.